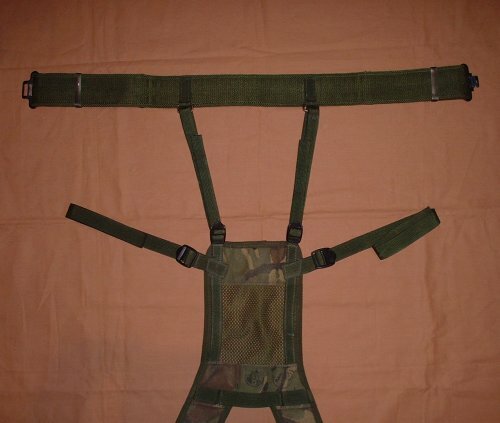 British Army issue yoke (shoulder harness) for the current PLCE (personal load carrying equipment) system. 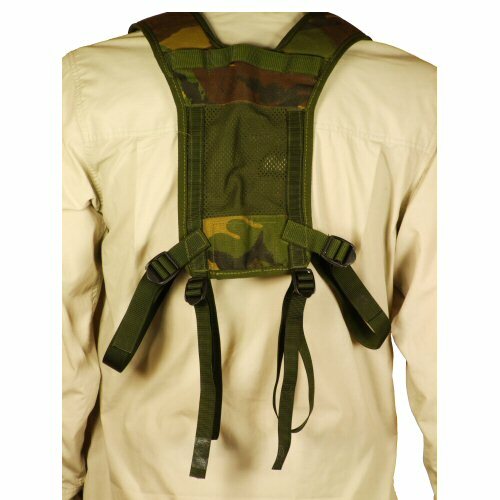 Features net back, stable cushioned shoulders and upper back, straps for looping into pouches and onto the Soldier 95/PLCE belt. View of top of yoke, showing the upper back and shoulder area. 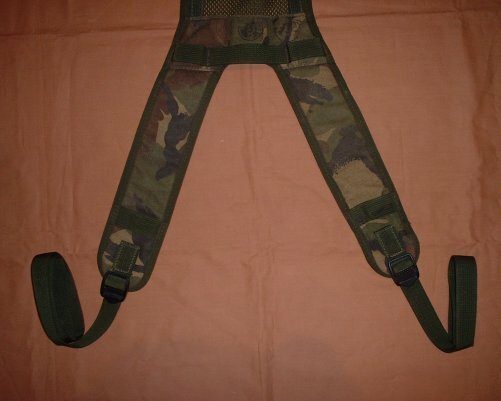 View of rear portion of yoke, showing it attached to a Soldier 95 belt.